I even made a snappy video you might enjoy! 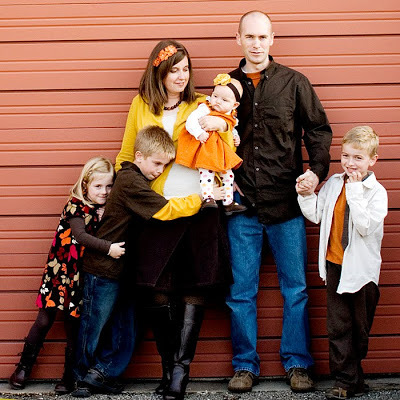 Since it’s the season for Family Pictures, and knowing from personal experience as well as from clients that figuring out what to wear is one of the biggest stresses, I thought I’d share what our family has worn from year to year for pictures. 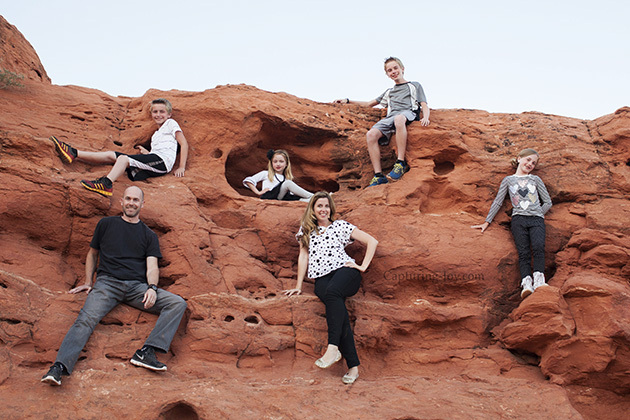 Of course I want to change it up each year, and since I LOVE having our family pictures taken, I’ve got quite a lot to share! 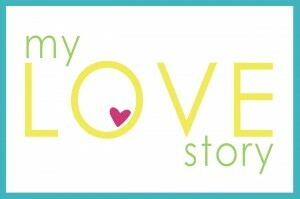 Some of these are old with small images, but I hope they can inspire you to think outside of your standard color palate! I always get excited to try out something new, myself. 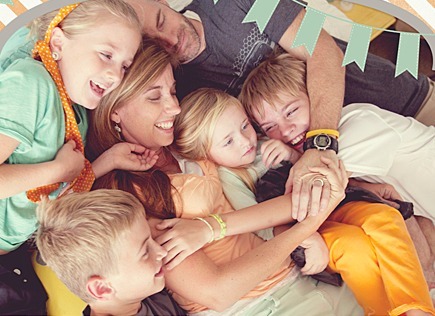 Not only are there individual family pictures, but 3 extended family pictures ideas, which will help you visualize colors for a larger group. I don’t think you can ever go wrong with Pastels, I mean how cute is this? And it’s perfect in this setting too! Pastels also allow for so many different combinations that you can’t go wrong, did I already mention that? 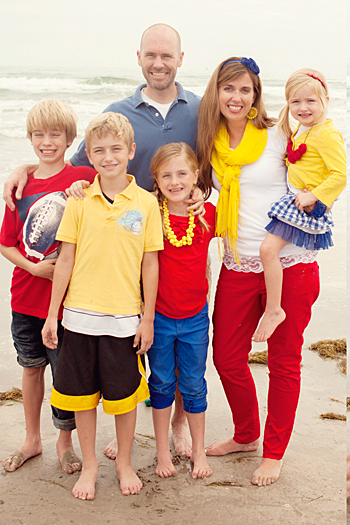 If you’re going to take family pictures on a beach then why not get outfit inspiration from the water? 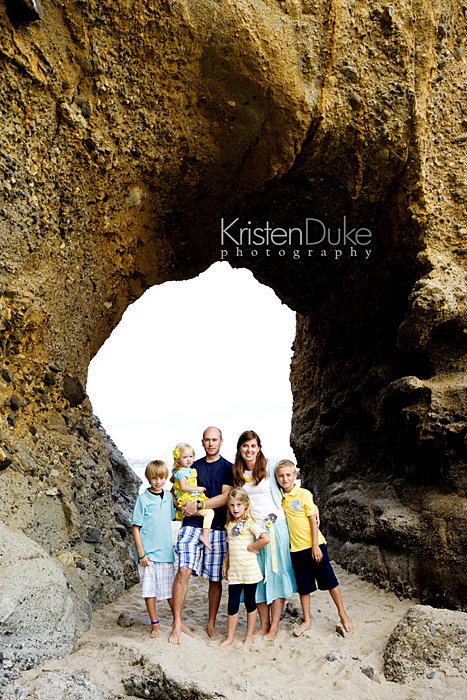 I love the mix of blues and the pops of yellows in this family picture! Ahhh..such a classic combo. I bet each of your family members already has black and white hanging in their closets and it always looks good! I love the use of primary colors here, how fun! 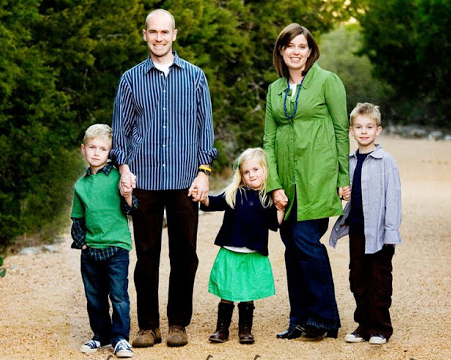 The bright colors work so well together and make this family picture one to remember! Click on that link to see our extended family (with beach balls) and more individual families, how they pulled together the colors. I just love Navy. It just feels put together and with green? It’s a killer combo! I love the splashes of tans too as a neutral. 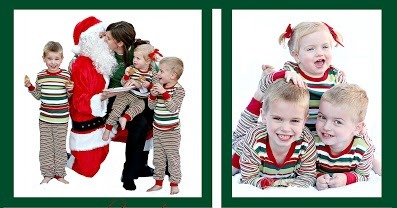 What can I say but classic Christmas card colors! Green, navy and red just scream winter and look too good together! 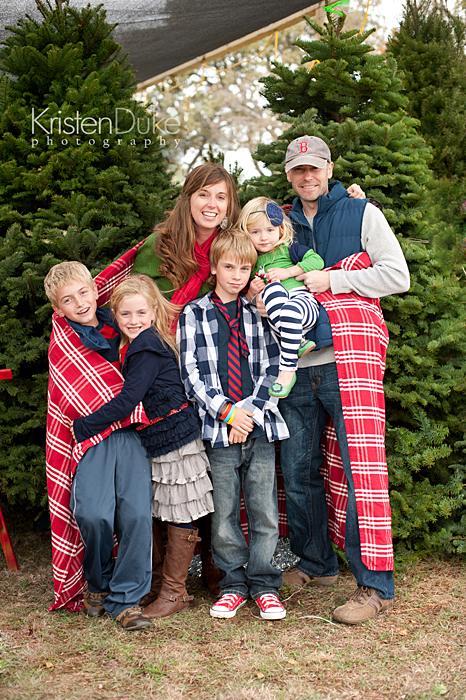 I love the added pop of red with the blanket too! Talk about fall colors! The combo of orange, brown and mustard yellow are perfect! I love, love, love this combo! 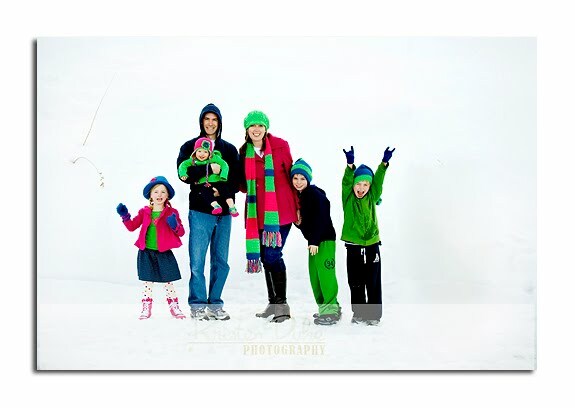 Bright colors are so fun and perfect with a solid background like this white snow! 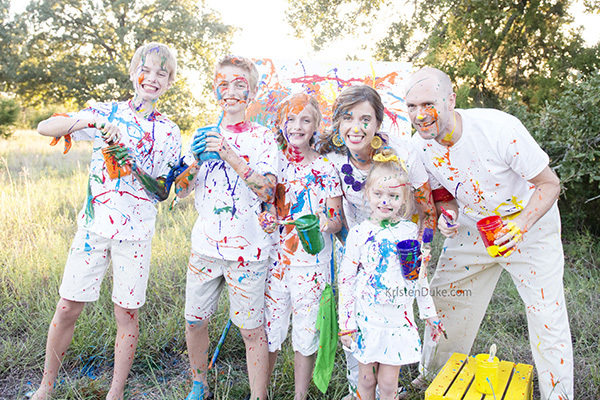 I’m sorry but I cannot get over this family paint fight! Start with a neutral like white and then go color crazy! I also love gray as a neutral and the teal gives this fall picture the perfect pop! 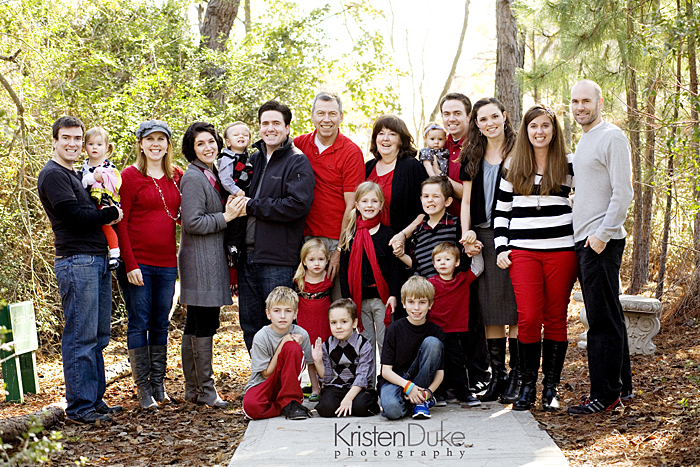 Click the color link above to see the extended family picture and how everyone selected their clothes for the group photo. Black and gray with any color will look great, adding some color on the bottom helps whether through shoes or pants, and not just tops. 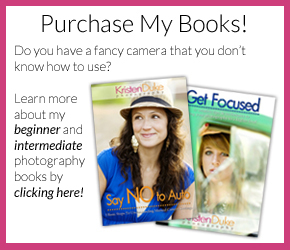 Click over to see more pictures. 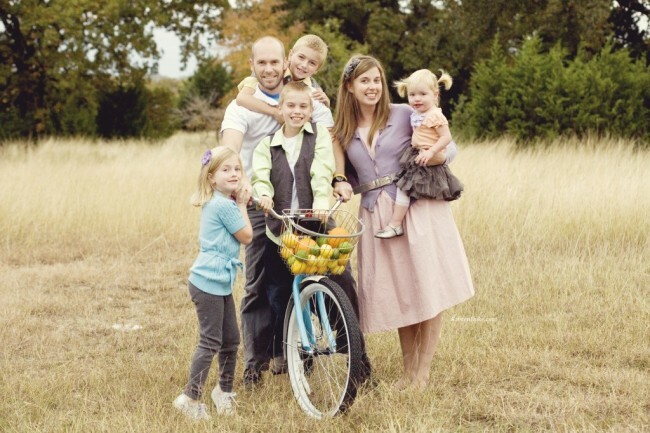 Have you got family pictures on the brain? Which combo do you love best? Not only do I LOVE taking family pictures, I also love to decorate with pictures. 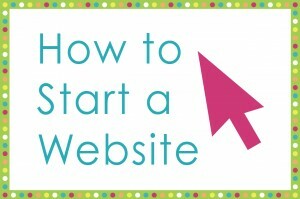 Check out hundreds of ideas from myself and friends! 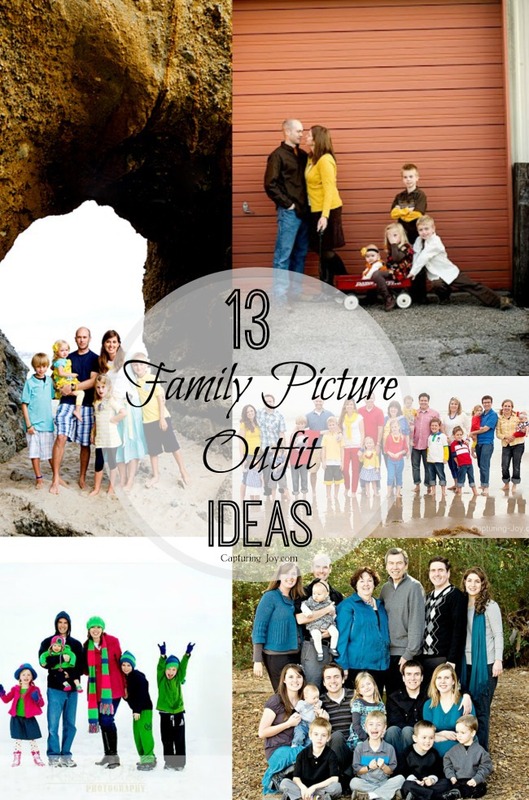 and more tips on how to pull together clothes for family pictures. Still want more ideas! 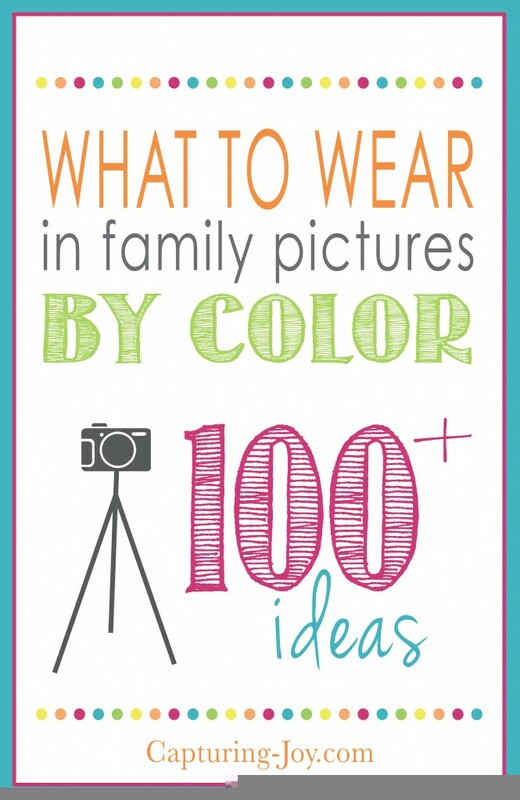 I’ve updated my site with a great series: What to Wear in Family Pictures by COLOR. 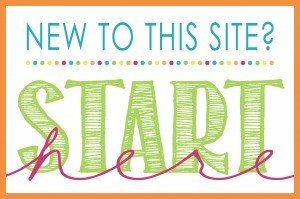 Also follow my new What to Wear in Family Pictures Pin Board that I’ll continue to add to! 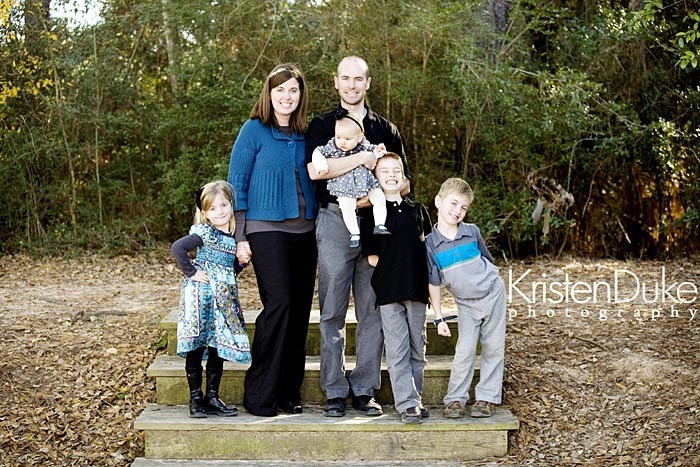 Follow Capturing Joy with Kristen’s board What to Wear in Family Pictures on Pinterest.